Welcome to Amherst A Better Chance, in Amherst, Massachusetts. ABC is a national residential high school program that prepares academically talented and highly motivated African American, Latino, Asian, and Native American students from educationally underserved school districts for college and future leadership roles in the broader community. Since the Amherst program began, over 120 ABC scholars have graduated from ARHS, and they have attended more than 50 colleges and universities. Scholars live family-style with the RDs in a warm supportive environment enriched by daily sessions with Amherst College tutors. ABC board members, community mentors and ARHS faculty and staff also offer guidance and support. 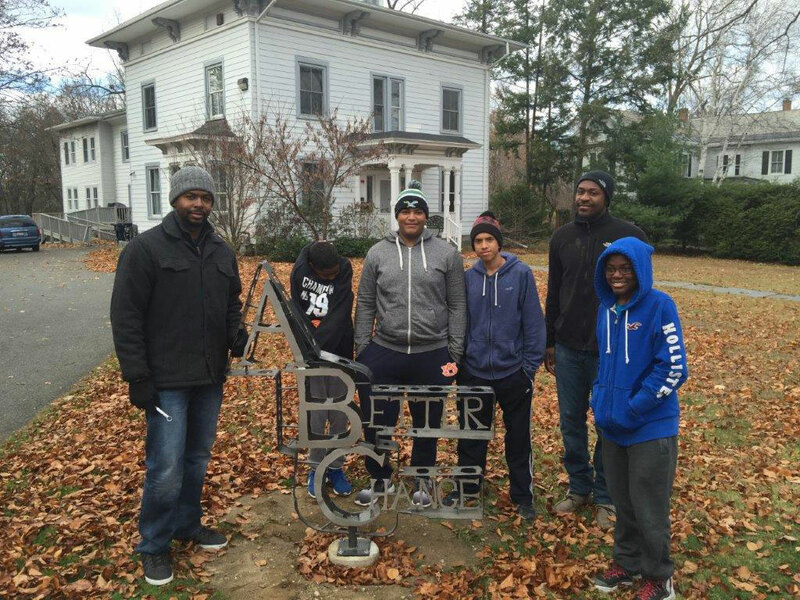 ABC scholars forge lasting bonds with local host families through monthly weekend visits and additional enrichment activities. 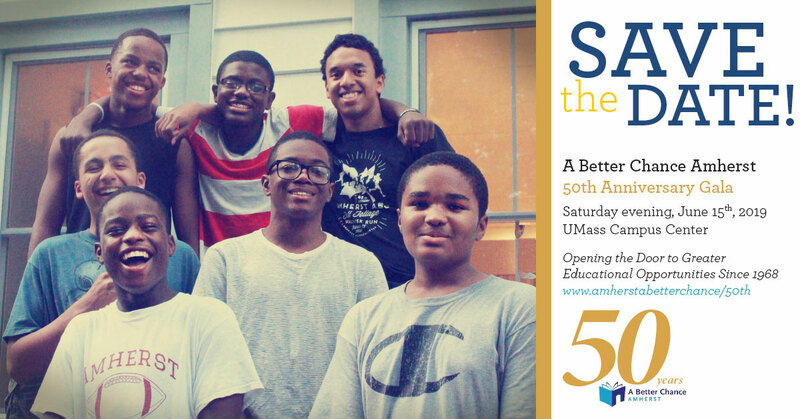 Please help to support our program and make a donation today! Interested in learning more about becoming a host parent/host family? There are no “requirements,” i.e., family size, age of children, etc. Successful host families have been parents with an empty nest and parents with young children, as well as parents with children currently in the secondary schools. Click here to learn more.